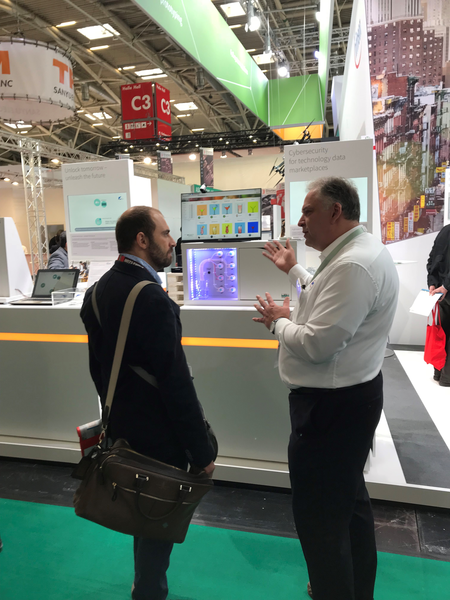 At electronica, the world's leading trade fair for electronic components, systems, and applications, Wibu-Systems will be showing its avant-garde secure licensing technology at Infineon’s exhibit. Infineon designs, develops, manufactures, and markets a broad range of semiconductors and system solutions. The focus of its activities is on automotive electronics, industrial electronics, RF applications, mobile devices and hardware-based security. In the age of Industrie 4.0, data has become a currency, and this year Wibu-Systems presents the Secure Technology Data Marketplace, one of the main demonstrations resulting from the three-year collaboration efforts at IUNO, the German National Reference Project for IT Security in Industrie 4.0. The demo, which uses CodeMeter dongles, CodeMeter Protection Suite, and CodeMeter License Central, comes in the form of a cocktail mixer that uses a data marketplace in the cloud to show how data can be monetized securely to meet a wide array of market demands. The business of product inventors, intelligent device machine manufacturers, and vendors is protected throughout the complete supply chain. The demonstrator shows how the familiar and established protection of software can be expanded to protect production data: cocktail recipes. Data cannot be copied, manipulated, or accessed by unauthorized personnel. The recipe for the selected drink is transmitted in encrypted form to the machine and prepared right in front of the visitor. The encrypted recipe is processed inside the mixer’s similarly encrypted controller. This provides the foundations for enforcing the licensing concept. The machine can be operated in a non-secured environment, but the IP owner of the machine and the recipe – which can be different instances – can rest assured that both can only be used as the license intended. Attendees at the Infineon booth can slip into the role of the provider of technology data and create their own drinks at: https://iuno.axoom.cloud. This is published and put up for sale on the marketplace. At the mixer itself, drinks can be bought and licensed on demand. Payment is handled through the Bitcoin blockchain, either with a voucher or – for holders of Testnet Bitcoin – with a Bitcoin wallet. The machine creates the selected drinks on demand. Wibu-Systems is also cooperating with the Trusted Computing Group at electronica, booth C3-509 in the Embedded area. Together with Microsoft, Mocana, and Onboard Systems, the TCG’s members will show attendees how to implement the DICE lightweight root of trust, TPM, and the TCG software stack to protect data, networks, and devices against attacks and to ensure the integrity and health of the complete system. In particular, on November 14th, 10.00 am to 2.00 pm, our specialists will explain how to manage licenses with CodeMeter using Trusted Platform Modules as alternative safe repositories for code encryption keys.